The Indian Space Research Organisation (ISRO), India’s space agency, has been receiving global attention in recent days. The agency, whose lead satellite center celebrated its 40th anniversary in May, is currently hosting the 39th Scientific Assembly of the Committee on Space Research (COSPAR). The event, themed “Space – for the benefit of Mankind,” is being held in Mysore July 14-22. One outcome of the meeting has been a call for increased collaboration with India in space. “Though the hallmark of the Indian space programme is based on the vision of its founding fathers, which is people-centric with emphasis on self-reliance in space technologies, sustaining and enriching it (vision) are our endeavour,” said ISRO chairman K. Radhakrishnan at the COSPAR meeting. 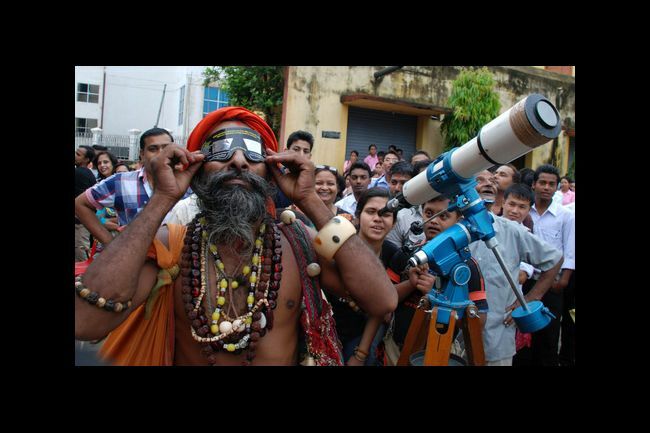 An Indian Saddhu (holy person) watches the June 6 Venus transit (Credits: AFP/Getty Images). COSPAR is dedicated to promoting peaceful international space research. 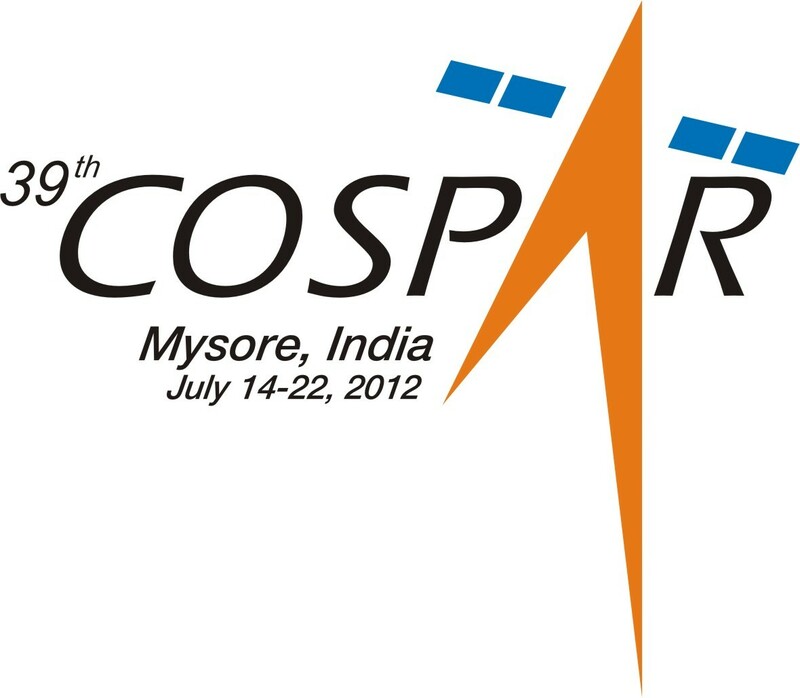 India hosted COSPAR once before, in 1979. Since that time, however, India’s space capabilities have evolved dramatically. From the nation’s first satellite, built in 1972 with the assistance of the USSR, India has focused its attention on developing independent capabilities in telecommunication, Earth observation, exploration, and launch. ISRO’s capabilities are now globally recognized. For instance, ISRO will be launching SPOT-6 in 2012, the latest in a venerated series of remote sensing satellites built by Astrium. With the wide range of economic conditions in India, from highly developed metropolitan centers to rural regions without access to electricity, ISRO has been challenged to meet rising demand for satellite services such as communication, telemedicine, tele-education, and disaster management. In addition to such terrestrial needs, ISRO aspires to a manned space program, although they are only in the preliminary planning stages for such a program at this time. The 2004 signing of the Next Steps in Strategic Partnership initiative by the US and India signal a significant thaw in space relations of the two nations (Credits: Embassy of India). It seems one potential collaborator at least is in agreement. At the Euro Science Open Forum a few days earlier in Dublin, Ireland, NASA administrator Charles Bolden invited India to make use of NASA’s astronaut training facilities at the Kennedy Space Center. The recent launch of NASA astronaut Sunita Williams to the International Space Station has helped to focus attention on India’s space development, since Williams’ father was an immigrant to the United States from India, although Williams herself was born in Ohio and grew up in Massachussetts. The statement from Bolden is a sign of the strengthening ties between the US and India over the past decade, following a turbulent patch when US fears of India developing nuclear missiles resulted in sanctions on the emerging space program. Such collaboration is particularly important to India at the moment as it feels pressure to compete with China’s blossoming space program. China just completed a historic crewed docking with their space station Tiangong-1. Even the best of intentions puts India decades behind China in the arena of manned spaceflight.